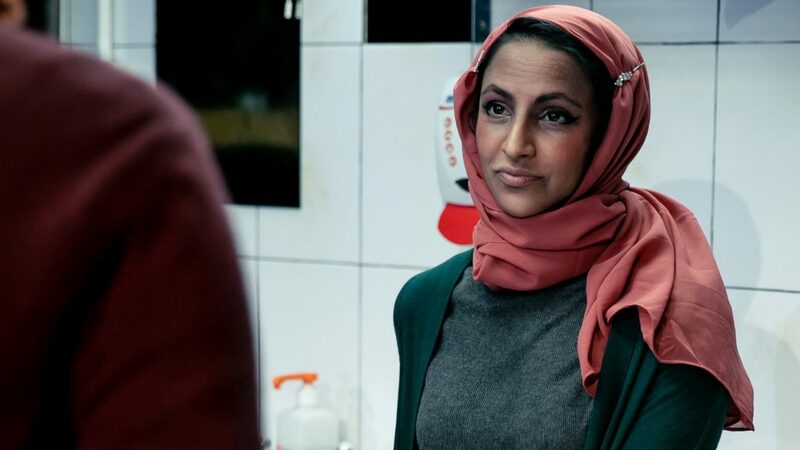 Aryana Ramkhalawon stars as Ayesha in Iman Qureshi’s The Funeral Director, an exploration of a gay Muslim woman coming to terms with her identity. The winner of the Papatango New Prize has its world première at Southwark Playhouse and is running until 24th November. You’re appearing in the Funeral Director at Southwark Playhouse, how would you describe the play? A kitchen-sink funeral parlour story of acceptance. Ayesha, my character, has to come to terms with her own identity, while juggling all sorts of pressures from her husband, her business and her community. It won the Papatango New Writing prize, what do you enjoy most about Iman Qureshi’s writing? It’s slick, sharp and funny. Iman captures sometimes bleak situations, grounded in the reality of everyday life, yet there is such humour and warmth too. She’s a midlander who is strong-willed and somewhat guarded – I feel she has the weight of the world on her shoulders in terms of who she should be. She grew up in the Muslim funeral home, the business run by her mother, and has now inherited it. Running it professionally is always her main focus – until, increasingly, she starts to examine who she is. Guilt has dictated her life choices in life in terms of who she thinks she should be professionally. Coming to terms with your identity and believing you deserve happiness is the journey Ayesha goes through. What do you think will be most challenging about this role? Firstly, realising and researching the daily duties of running a funeral home have been challenging! In terms of performance, dealing with grief on a daily basis is draining. Ayesha is also so good at putting up a wall in every situation, so showing her vulnerability has been a challenge. They have been fun, the cast are great and the director has been whipping us into shape. It has been great to have such a supportive environment. What would you say to anyone thinking of coming to see The Funeral Director? Hmmm – I hope the piece shows that everyone is a vulnerable human being, and that at the end of the day we all need to look after each other. I saw this girl in this play. She is absolutely fantastic, definitely a rising star! The play is well worth going to see, very thought provoking.